Topshop heiress Chloe Green and “hot felon” Jeremy Meeks announced the birth of their child, Jayden Meeks-Green, on Thursday. Green is the daughter of billionaire Sir Phillip Green, a high-roller dubbed the “British Donald Trump” who is known for partying with celebrities like Kate Moss, Beyoncé, and Leonardo DiCaprio. The heiress has been making headlines for years, appearing on a reality show, launching a fashion line, and socialising with celebrities – including her ex-boyfriend Marc Anthony. Topshop heiress Chloe Green and Jeremy Meeks – best known as “the hot felon” – announced the birth of their child on Thursday. According to an Instagram post by Green, Jayden Meeks-Green was born on May 29. Jayden is the first child of the 27-year-old heiress and Meeks, the 34-year-old model who became famous after his mug shot went viral, though Meeks has a child from a previous relationship. Green is no stranger to fame. As the daughter of billionaire Sir Philip Green – the chairman of Topshop owner Arcadia – the heiress has lived her life in the spotlight. Green is just 27 years old but has been making headlines for years. Thank you for loving me the way you do and making this one Amazing birthday @jmeeksofficial you have spoilt me beyond belief! #birthdaygirl #27today ❤️???????? Her parents, Phillip and Tina Green, are worth an estimated $US4.9 billion. The couple purchased the retail company Arcadia Group in 2002. The businessman has been accused of dodging taxes and enriching himself by allowing the iconic retailer British Home Stores to fail. “In this era of austerity the British people seem to have had quite enough of the retailing tycoon, with his legal tax dodges, his complicated corporate structure, and his hyperinflated lifestyle, replete with a helicopter, a Gulfstream G550 jet, and three yachts – including one, Lionheart, which is 295 feet long and reportedly has a swimming pool, a helipad, and a beauty salon,” Vanity Fair reported in 2016. The family moved to Monaco when Chloe Green was six years old. In recent years, the Green family has come under fire for the Monaco move, as it allowed them to avoid paying taxes on the millions (or billions) of dollars in dividends received from their businesses. Growing up in the Green family meant constant contact with celebrities from a young age. Guests at Phillip Green’s 60th birthday in 2012 included Naomi Campbell, Leonardo DiCaprio, Gwyneth Paltrow, and Kate Hudson,Vanity Fair reported. Plus, there were performances by Robbie Williams, Stevie Wonder, CeeLo Green, and the Beach Boys. Beyoncé famously sang at the bar mitzvah of Green’s younger brother, Brandon, in 2005. The beautiful @Beyoncé at the Topshop Dinner!! With the 2 most amazing people this was one memorable evening full of new exciting ventures and journeys #NYC #unlock5th ???? From a young age, Green took interest in the family business — fashion. “Chloe’s interest in clothes goes back to when she was eight, coming with me to the shops in school holidays,” Phillip Green wrote in The Times. In 2012, she launched her own line of shoes called CJG by Chloe Green. By her early 20s, Green was making headlines independent of her parents. Green has continued to socialise with stars, including the Kardashian clan, singer Rita Ora, and fellow heiresses Sofia Ritchie and Paris Hilton. Featureflash Photo Agency/ShutterstockThe Made in Chelsea cast won a BAFTA in 2013. At the time, she was dating Ollie Locke, another cast member on the show, which showcases the lives of rich young Londoners. After breaking up with Locke, Green found love with another high-profile beau: American singer Marc Anthony. The couple began dating in 2013, when Green was just 21 and Anthony was 44. They split a year later. Green reportedly connected with Meeks at the Cannes Film Festival in 2017. Think salmon is our colour @carolinestanbury !! @degrisogono here we come #cannes ???? 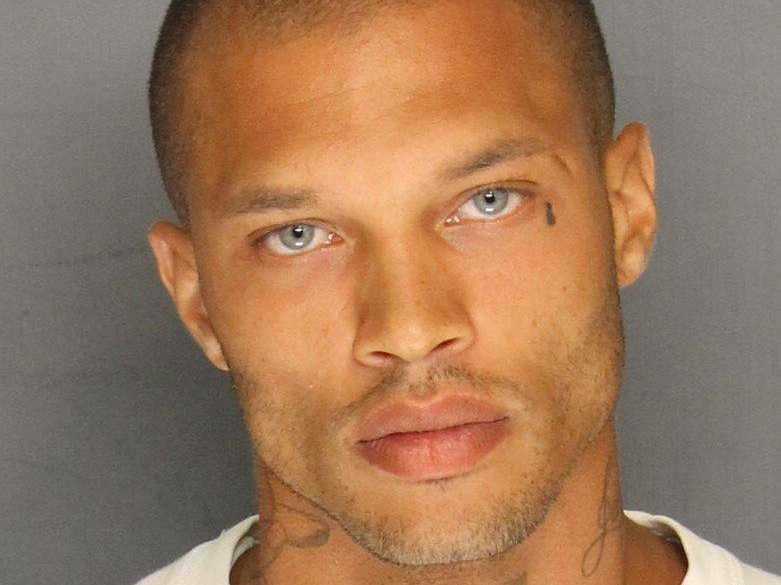 Meeks became an internet sensation in 2014, when his mug shot went viral. The “hot felon” signed a modelling contract and made his runway debut in February 2017. By summer 2017, Meeks’ and Green’s coupledom was dominating tabloid headlines. Meeks was still married when he and Green began their relationship. He reportedly filed for divorce in October 2017. Jayden is Green’s first child. Meeks additionally has one son with his ex-wife. “Mummy and Baby both doing well. We kindly ask to respect our privacy,” Green wrote on Instagram on Thursday.